Coming to you in a set of two, Sunpan’s Vintage Dining Chair is available in your choice of lush hues, each accented with the subtle shine of silver nail head details. Featuring a simple yet sophisticated silhouette, the Vintage Dining Chair by Sunpan is crafted of quality wood with a rich espresso finish, and expertly upholstered in lush bonded leather or elegant linen-style fabric. Offered in multiple eye-catching colors. Solid wood frame delivers a great mix of form and function. Frame's espresso finish will dazzle day after day. 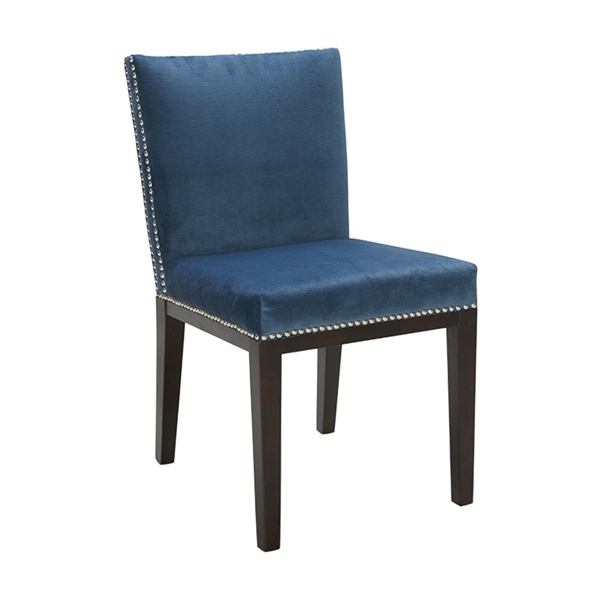 Includes a distinct row of silver nailhead trim that helps the dining chair stand out in a modern dining room or kitchen.